Leonardo DiCaprio as Jordan Belfort in The Wolf of Wall Street (2013). 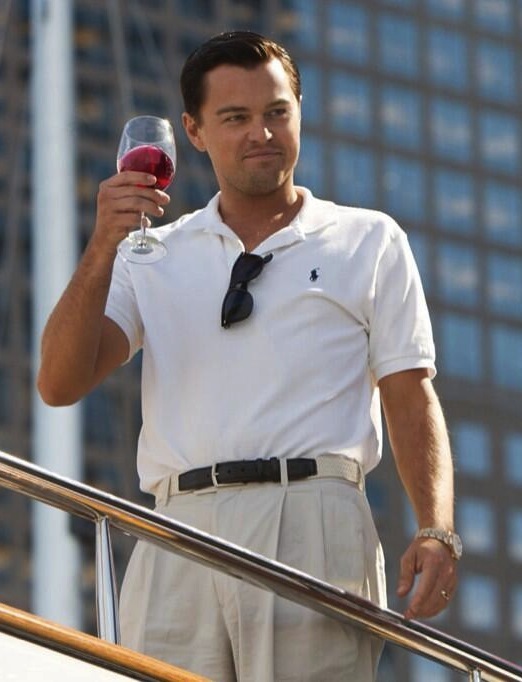 DiCaprio himself even uses this image for his Twitter avatar. With winter upon us, avoid the winter blues by thinking ahead to summer. Picture yourself on a millionaire’s yacht, drinking wine and eating caviar with millions to spend and not a care in the world. When you’re sailing a boat built for a Bond villain you’ve got to play the part.